Born in Caracas, Venezuela, Luisito Quintero has music in his blood. His father was a respected percussionist in his native Venezuela, and taught Luisito through his adolescent years until the time he enrolled in the prestigious Orquesta Simfonica de Venezuela (The Symphonic Orchestra of Venezuela). Luisito soon gained the respect and admiration of his peers, and, at age twelve, his technique on timbales enabled him to join the popular musical ensemble Grupo Guaco and, later, El Trabuco Venezolano. Luisito also worked with Oscar D’Leon, but it was the Latin music diva INDIA’s keen eye for talent that transformed Luisito’s musical career, from his early inception into her band as percussionist to his current role as band director. During his tenure with INDIA, Luisito evolved as an accomplished musician and has collaborated extensively in the productions of INDIA’s two Latin Grammy nominated albums. The first production, “Sobre fuego” was certified gold; selling over one-half million units, and the second production, “Sola” won the Billboard award for best Salsa female entertainer. 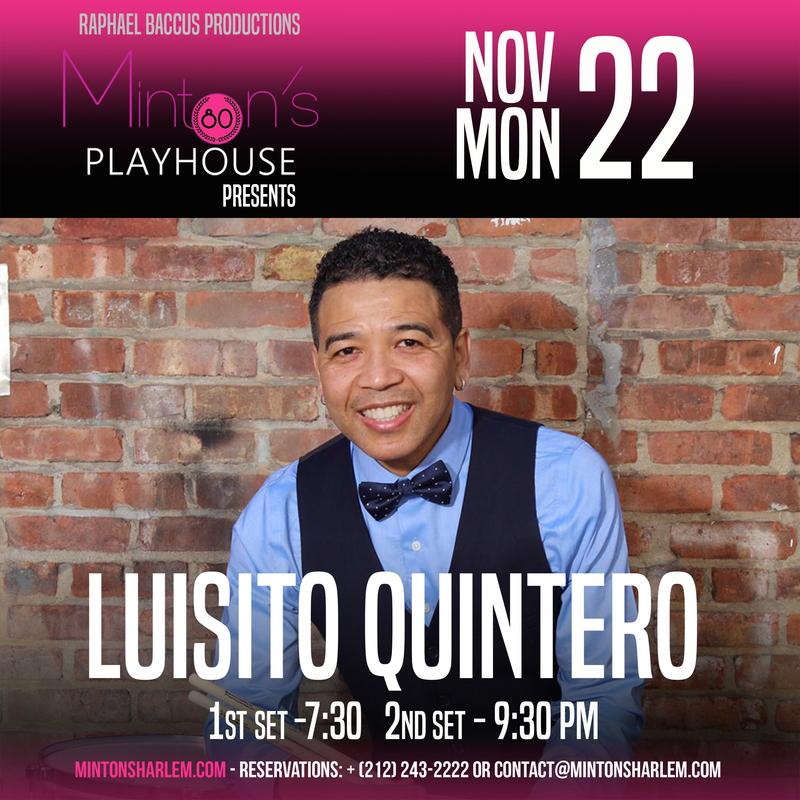 Luisito’s other accomplishments include collaborating with Tito Puente, Celia Cruz, and the musical director of “The Fania All Star”, Maestro Johnny Pacheco. He has also worked with Marc Anthony, Gloria Estefan, Ray Barreto, Eddie Palmieri, and many other major artists. In 2006 Luisito Quintero’s debut album Percussion Maddness was released.